Take some time to explore each of the links that takes you to more information and fabulous photos of these gorgeous wetlands. 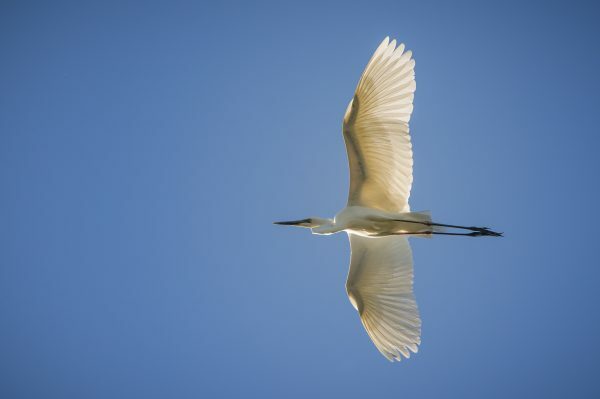 A great egret in flight is a sight to behold. This one was seen soaring over the Macquarie Marshes in North West NSW. 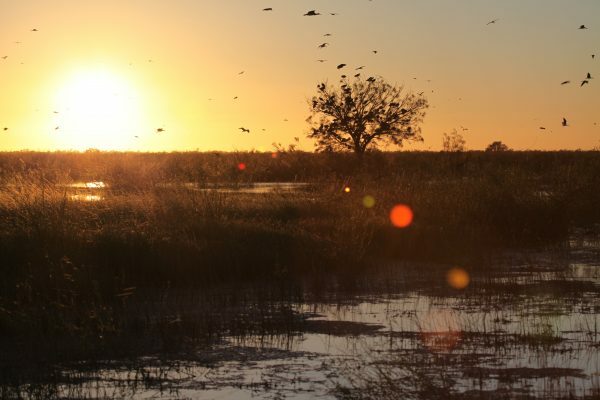 The Marshes have played host to some of the biggest waterbird breeding events in Australia. Egrets like this one can be seen at wetlands across NSW. To read more about the Macquarie Marshes, click here. 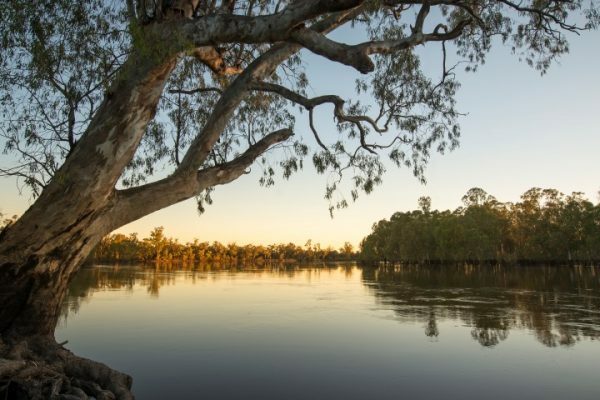 The Darling River winds its way from north to south, connecting the waterways of northern New South Wales with the iconic Murray River and its tributaries. The Darling was a focus for Australia’s early pioneers and river traders and its importance today as a source population of native fish brings a new level of respect for this starkly beautiful and enduring river. To read more about Darling River, click here. Photo: Vince Bucello, Midstate Video Productions. Dusk and dawn are magic moments in the wild wetlands of inland New South Wales. The landscape comes to life with the sight and sounds of birds, frogs, insects and more. Booligal Swamp (pictured) in the Lachlan catchment is a nationally significant wetland, renowned for its native plants and animal life. To read more about the Lachlan catchment, click here. The view from above provides a fresh perspective on the wonder and beauty of our inland rivers and wetlands. They exist alongside a range of human uses creating challenges and opportunities for the long-term management of these important places. The Murrumbidgee catchment is a haven for bird-watchers and anglers alike providing critical habitat for native wildlife. To read more about the Murrumbidgee catchment, click here. Photo: Terry Murphy-Fleming, Boyanga South. When the water arrives, so do the birds. The Gwydir catchment provides a mosaic of varying wetland habitats where waterbirds and other native wildlife can feed, breed and grow. 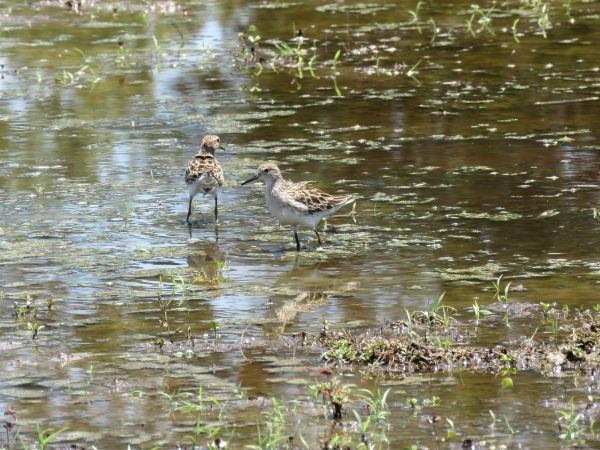 These sharp-tailed sandpipers are among a long list of waterbirds to make use of the wetlands. To read more about the Gwydir catchment, click here. 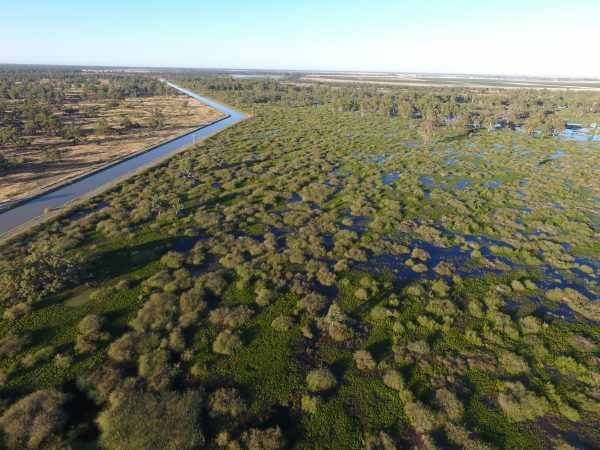 Australia’s longest river, the Murray, brings life to the landscape – in the air, in the water and across the floodplain. 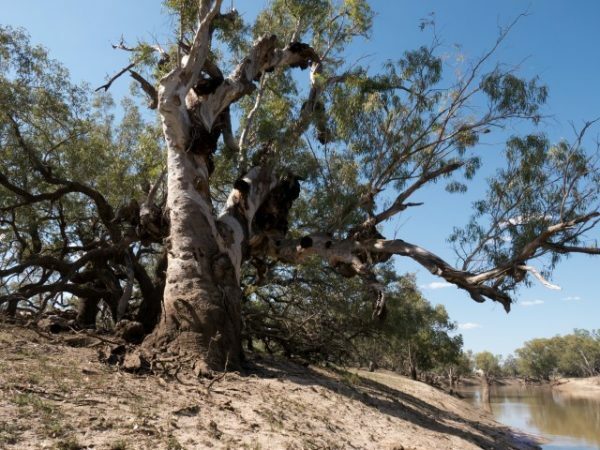 The world’s largest stand of river red gum hugs its banks. And where the river spills onto the floodplain it creates a network of wetlands providing food and safe haven for young fish, frogs, turtles, birds and more. These wetlands feed the river system, releasing vital nutrients to feed the wetland food web. To read more about Murray River, click here. Discover the vital role environmental water plays in improving the health of rivers, wetlands and floodplains across New South Wales.